When it comes to implementing the TwinBin system on your shop floor you have a choice of Bosch Rexroth Aluminium Extrusion or Mild Steel Welded Fabrications. The Mild Steel Welded Racks can be painted to a colour of your choice. Can’t see the size you require? We can manufacture custom racks in any shape or size to suit your needs! 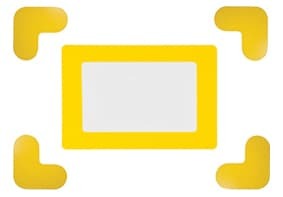 Why not add a Header? 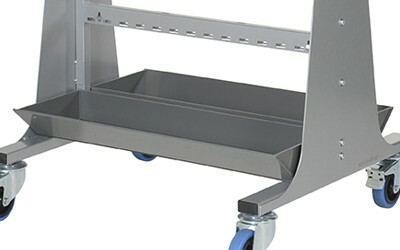 Triangular headers can provide clear rack identification and prevent users placing FOD on top of the racks and bins. 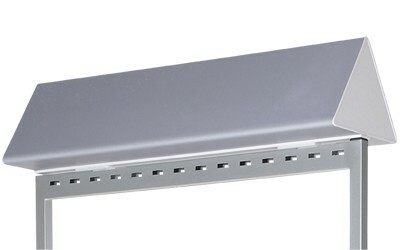 We can print information such as logos and rack numbers on the rack headers. To allow mobility around site we can supply castors which are provided in sets of 2 swivel and 2 locking per set. We also have heavy duty castors available. 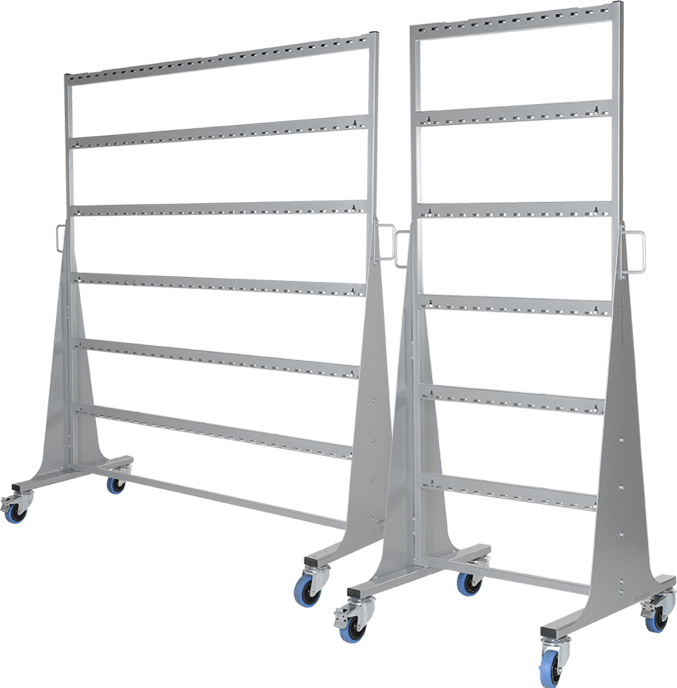 Why not add Rack Handles? 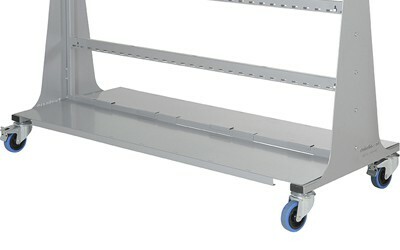 To improve ease of transportation around the shop floor, espically for racks with castors, try our Rack Handles. Why not add Collection Trays? Removable collection trays can be supplied which are used to prevent dropped fasteners from hitting the floor. Making sure your work space is FOD free! Why not add Floor Markings? 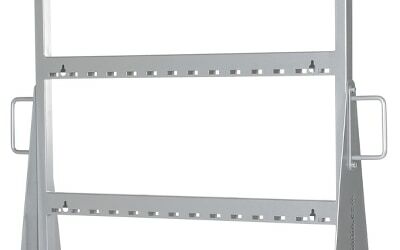 Complete with four corners and Clearview window, floor markings designate an area for your rack. They are easy to apply and long lasting, even forklift resistant!